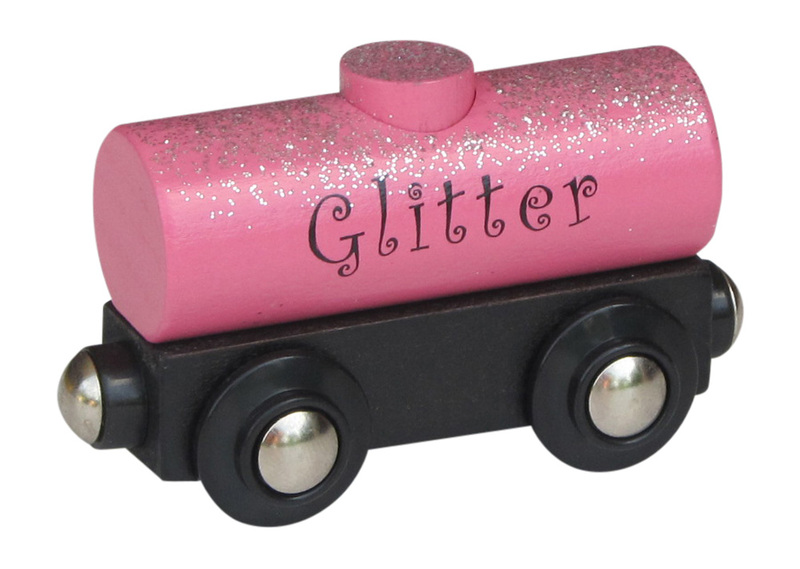 Glitter wooden train tank car. Ladies, this one's for you!! Perfect Pink with shining Glitter! Glitter is sealed on and won't rub off. Exclusively here. Approx. 3" long.